How would you feel after a 1,000 year nap? People have sent me some messages about when they can expect the next book, so I thought I would try to at least post weekly what’s going on in the world of JS. So with that said here we go. I got the first draft of the screenplay done, for the indi project. 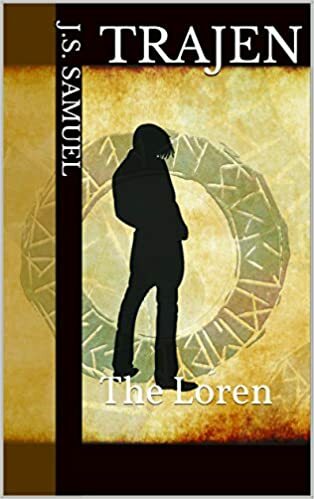 The first six chapters are done for book 2 (well as done, as much as it can be I could throw it all today and rewrite it, not likely, but I could :D) of the Loren series and I am now signing off for the weekend from work. Have a great weekend and I will try to touch base Tuesday. Well I am on my way to working on some super secret sauce. Have no fear book 2 is well underway and without an official title. The format of this book I am really excited about, I hope everyone likes it. I am also happy to announce I will be working on an independent film with my son Devin Parker. This brings a little bit of moisture to my eyes. I mean I remember him trying to learn how to kick a ball. I am getting choked up thinking about it right now. More news to come on those fronts over the next week. So let’s start 2016 off with a bang. P.S. Yes, I know many people want to know about the physical copy edition. There will be more news to come on this front shortly, I haven’t forgotten about it. I sit here tightening the bolts on my little project and it feels really similar to those first steps of my kids. It has taken on a life of its own. The Loren is real and I hope everyone is as excited to finally read it as I was to write it. I would like to thank everyone who has taken the time to come on this fantastic journey. I am going to try to keep everyone posted on the series as well as answer questions throughout the site. I hope you enjoy the trip. Welcome to the world of the Loren. This is your official home by me, the author about everything there is to know about my new series and upcoming projects.